July 10, 2018 at 2:36 pm. Alabama linebacker Terrell Lewis sustained a torn ACL in his right knee last week, the school announced Tuesday. Lewis was projected to be a starter in the upcoming season. The torn ACL is the second significant injury Lewis has sustained in less than a year. He suffered an elbow injury in the season opener against Florida State that sidelined him 10 games last season. Lewis recorded 16 tackles and a sack during the final four games of the season. 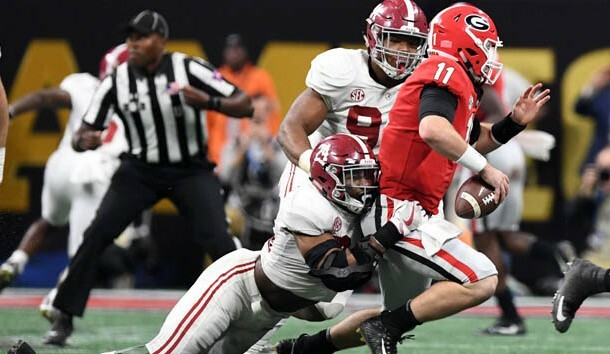 Lewis’ injury comes one day after the Crimson Tide announced fellow linebacker VanDarius Cowan was dismissed from the program for a violation of team rules. Cowan was charged last week with third-degree assault stemming from an alleged incident at a Tuscaloosa bar. Per the Tuscaloosa News, Cowan was accused of punching a 26-year-old man in the face. The alleged victim, who claimed he did nothing to provoke Cowan, reportedly was treated for seven stitches on his lip and suffered a broken tooth and nerve damage.